Every month our Volunteer Office sorts through piles of nominations from supervisors and honors one of our volunteers for their truly stupendous efforts. Meet our Volunteer of the Month! Looking back to last August, when the Giant Ocean Tank being prepared to be drained and the penguins were trundled off to temporary digs, the penguins returning to their tray seemed VERY far away. Yet here we are, celebrating the New Aquarium Experience. Although the Volunteer of the Month is usually given out to a single individual, this herculean effort couldn’t happen without all 29 volunteers who served during June. Those 29 individuals donated 689 hours to the care, prep and transport of these endangered species for which we (and the birds) are very much thankful. Below, Paul Leonard, supervisor of volunteers and interns of Penguin Colony, congratulates the volunteers in his own words. 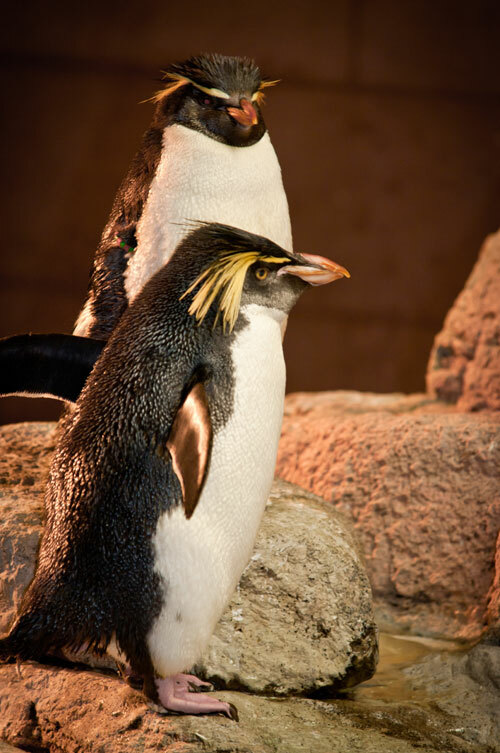 Last August the Aquarium’s penguin colony was split up and relocated to several temporary areas in preparation for the Giant Ocean Tank renovations. 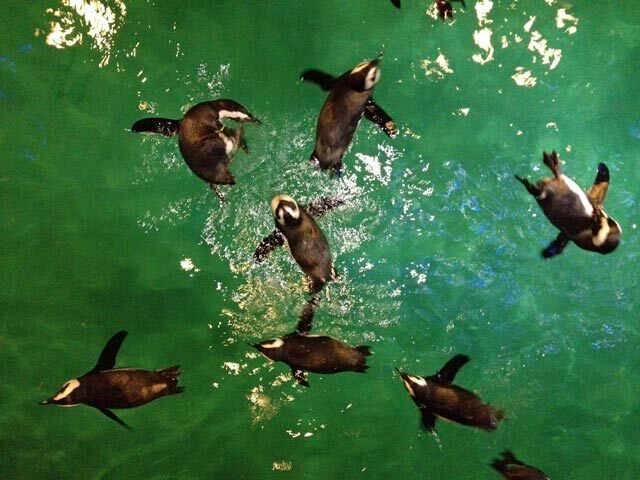 The African penguins and rockhopper penguins were sent to the Quincy Animal Care Center while the little blue penguins remained here in a temporary exhibit space on Central Wharf. Well, the penguins were not the only ones who were split up… The Penguin Colony Volunteers also had to be reassigned to one of the two cities for the duration of the construction. For the past 10 months, our volunteer support team has gone above and beyond the call of duty. They have assisted in the successful transport of over 90 penguins in and out of the Penguin Exhibit. They have mastered new husbandry procedures in a very short period of time and without missing a beat. Many took on the burden of adding more time and miles to their already long commutes. While others added more volunteer opportunities helping cover short-handed days. Even after one of the worst blizzards in New England’s history, some of the volunteers took the initiative to make their way in and they were not even scheduled to work. Each person on this team embraced the challenged placed before us with excitement, stamina and a great sense appreciation for the Aquarium’s mission. 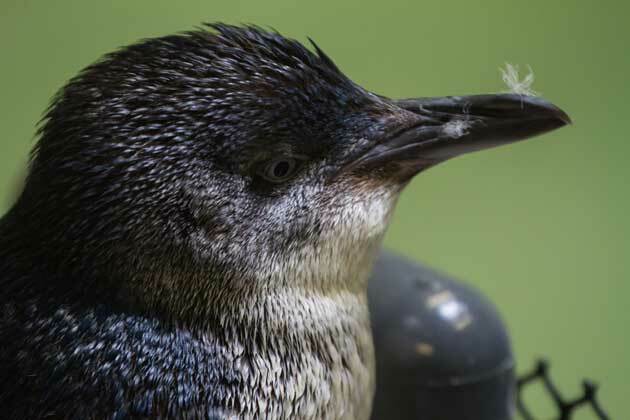 For those reasons above and for their unwavering commitment and dedication to the welfare of the Aquarium’s penguins: On behalf of the entire Penguin Staff, we would like to recognize and nominate the Penguin Colony Volunteers & Interns for Volunteers of the Month. Throughout the renovations and as Paul mentioned above, many volunteers had to adjust their routines, schedules, commutes due to the split colony. In total, we had 68 volunteers who donated 8433 hours! If we worked 24 hours a day without any breaks, it would take 351 days straight to match their commitment. A BIG thank you to everyone who had a hand in our penguin moves, renovations, and care throughout the transformation! Do you want to volunteer with us? Interested in working with the penguins? We ask for a one-day-a-week, six-month commitment, so if that can fit your schedule, check out our opportunities here!